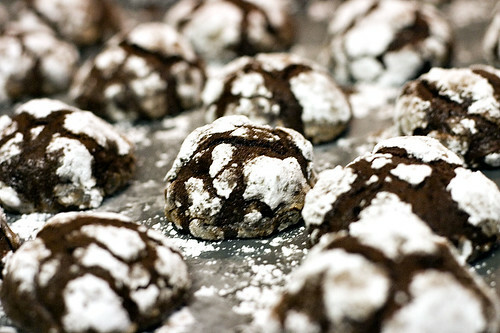 My mom always made a lot of cookies (and fudge) around Christmas time. 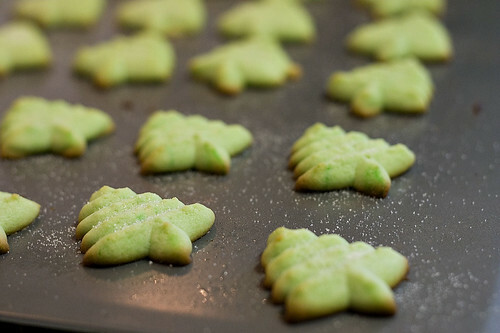 While I liked the Russian tea cakes and chocolate chip cookies, the green tree cookies were always my favorite. I’m not entirely sure why I liked them so much. They aren’t overly sweet. They don’t have a particularly strong flavor. 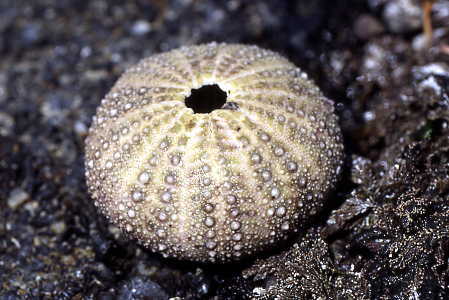 It may just be that I could eat a lot of them without getting overwhelmed by them. 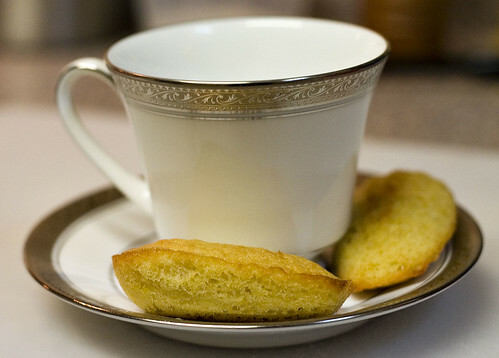 Whenever I have these cookies, I always think back to high school when I had lunch with a friend of mine. At the time, I wanted her to be a bit more than a friend and so, I, of course, shared some of the cookies with her. The cookies didn’t help with that situation but it wasn’t the cookies fault. They’re still my favorite Christmas cookie. And as it was getting closer and closer to Christmas, I realized that I had to make them fast or I’d miss out this year. So I decided to whip up a batch. It’s a pretty easy recipe. 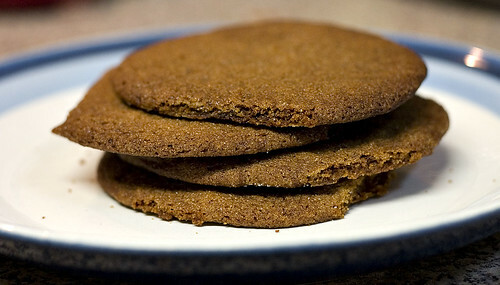 It just required me to dig out our cookie press (last used for these cookies last Christmas). 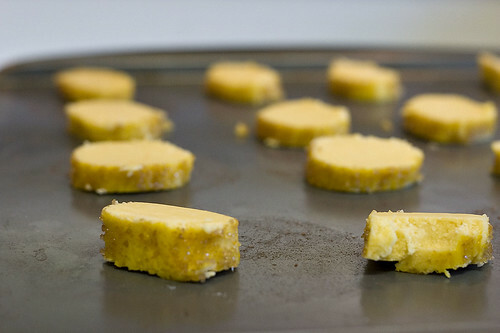 And, as usual, I had trouble getting the cookies to stick to the baking sheet after pressing them. 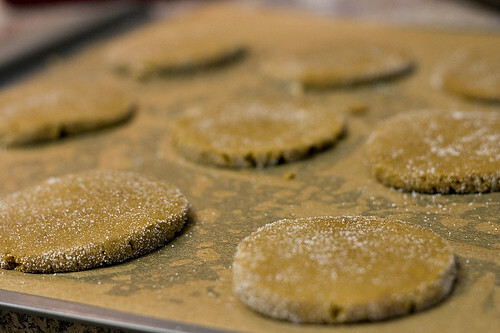 They’d much prefer to stick to the cookie press, much to my chagrin. It didn’t help that I made the mistake of greasing the cookie sheet at first (I corrected that pretty quickly). I’m not sure the provenance of this recipe. I got my copy from my mom who has claimed that it’s a variation on a different recipe (apparently the almond extract and shape are her derivation). I did have a friend who claimed that her mom made the exact same cookie so I’m not entirely sure. I don’t know where the original recipe is from. It may have been the Betty Crocker Cooky Book. 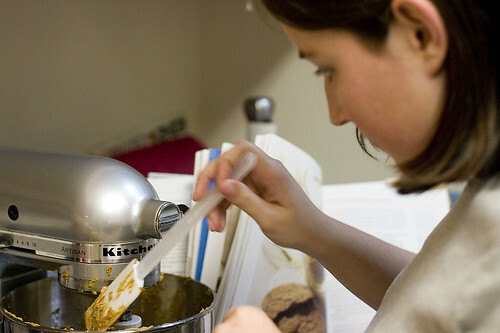 In an electric mixture, cream together the butter and sugar at a medium-low speed. Add the egg and mix until combined. Add the almond extract and food coloring. 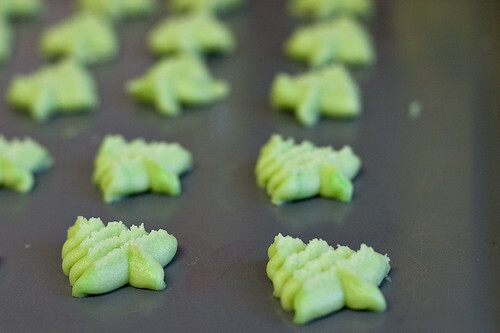 Place the cookie dough in a cookie press fitted with a Christmas tree die. 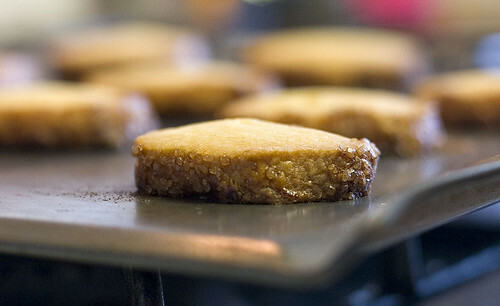 Press cookies onto an ungreased baking sheet about 1/2″ a part. 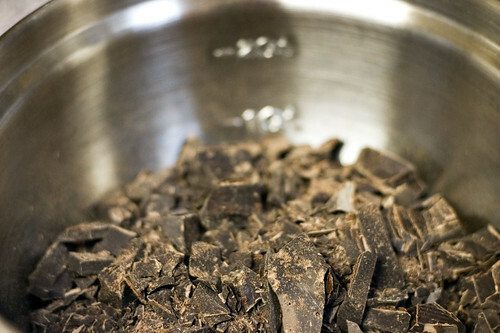 Bake until the cookies are set but not browned, about 6 to 9 minutes. 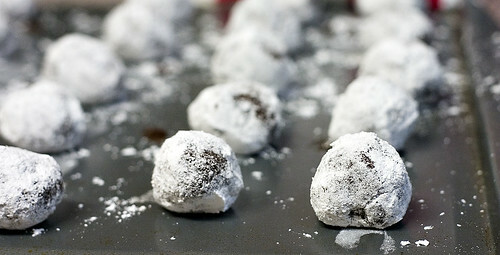 Sprinkle sugar over the cookies immediately after removal from the oven. 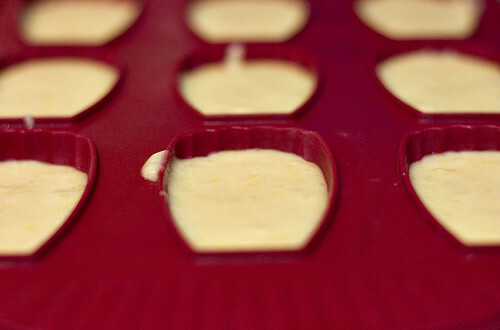 Makes about 6 dozen cookies (depending on your cookie press).